The Ancient Greeks had little knowledge of the World around them. The stars in the sky, the sun coming up every day and the wonders of nature that surrounded them held so many mysteries. How does the wind blow? Why do the Mountains spew fire and stones up into the sky? So they began to ask themselves, maybe there is a higher force that we cannot see, that makes all these amazing things happen. They began to name each natural event, and so the Gods were born. In the beginning, they called the Earth Gaia. Then Gaia brought down Uranus the Sky God, and she had many children with him, which produced the heavenly Gods, then She had a union with Pontus, and the Sea Gods were born. But these were still early times for the Gods. And soon there was a great battle between Uranus and his son Cronus the Titan. 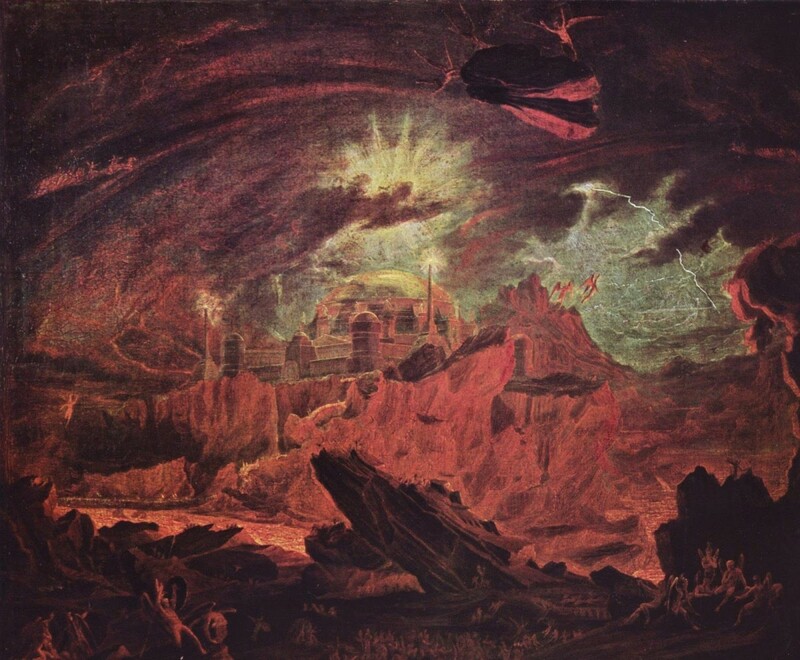 It is said that when Cronus killed his father, Uranus, the blood from Uranus was gathered by Gaia and from this she produced the Furies, Giants and Nymphs. His blood was thrown into the sea and the first of the Olympian Gods were born from the waves. Her name was Aphrodite, and she became Goddess of Love and Beauty. Cronos, son of Mother Earth, Gaia, then collected up all his brothers and sisters and they shared the whole World with them. Soon Cronos married Rhea and they had many children. One of these was Zeus. Cronos soon began to realise that his children were mightier than him, and just like his father Uranus, he tried to trick his wife into getting rid of the children. But Rhea was horrified and refused. She sent Zeus to Crete, a Greek island. Zeus grew up on Crete, and when he reached adulthood he called to his brothers and sisters to make war against his father Cronos. Cronos was so angry. Another great battle ensued and this time Cronos was defeated by his children. This was called the Titan War. Cronos was cast into the depths of the Underworld and so the Great Gods of Olympus were triumphant. Now it was time for the Olympians to rule the World. 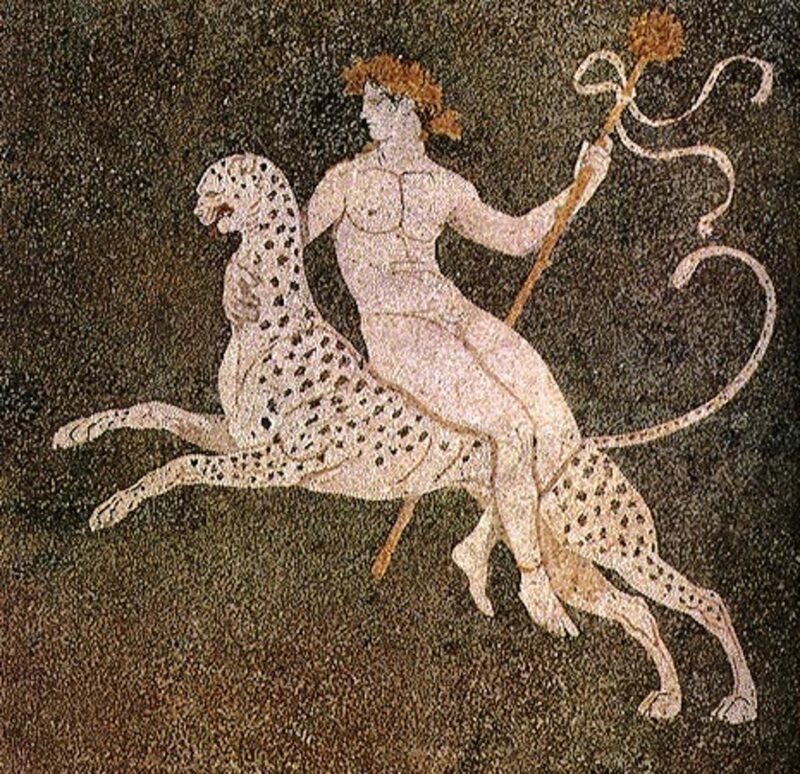 The Romans were from another powerful country who also believed in Gods and Goddesses. The City of Rome was small at first, and the Gods had mainly Latin names. The word Latin comes from the small town of Latium which was on the outskirts of Rome. The people living there were mainly villagers who were very superstitious and because of this named their Gods in a similar way to the Greeks. When Rome began to expand, the Gods of Rome began to take on the 'personality' of the Greek Gods. So after many years the Roman Gods and The Greek Olympian Gods were one and the same. The only difference being that they were called by different names. 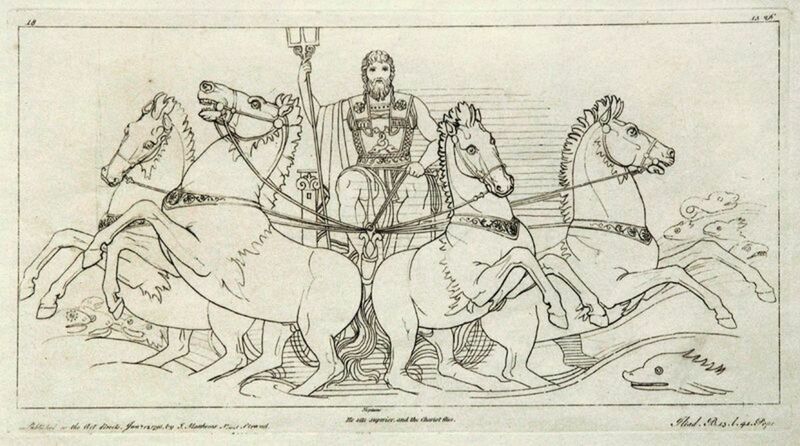 Zeus was the mightiest and strongest of the Gods. 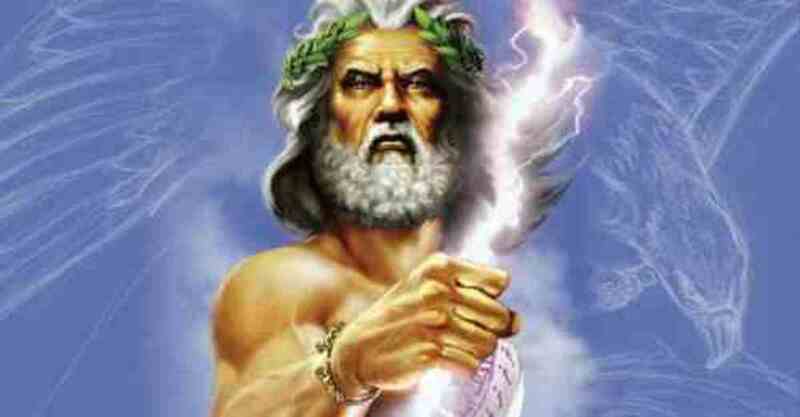 Known as the father of Gods and Men, he ruled Olympus and had the power to strike his enemies down with lightning. He was the son of Cronos and Rhea, and was the youngest of all the children. He was father to many children, but even the other Gods and Goddesses called him Father too. Two of his siblings were Poseidon and Hades, they all drew lots to see who would be the King of the Sky, and overall leader. Zeus won the bet and Poseidon ruled the sea, and Hades the Underworld. 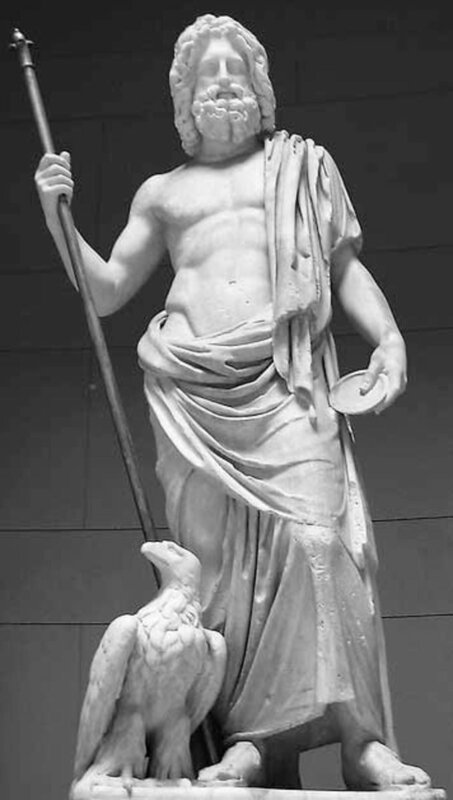 Jupiter is the Roman equivalent of Zeus. His personality differs somewhat from his original incarnation as Zeus. As a Roman God, Jupiter, or Jove as he is also known, is King of the Gods, and was first associated with wine festivals and the Sacred Oak Tree. He is portrayed as a much more serious man than Zeus, and he remained Rome's official God until the beginning of Christianity. 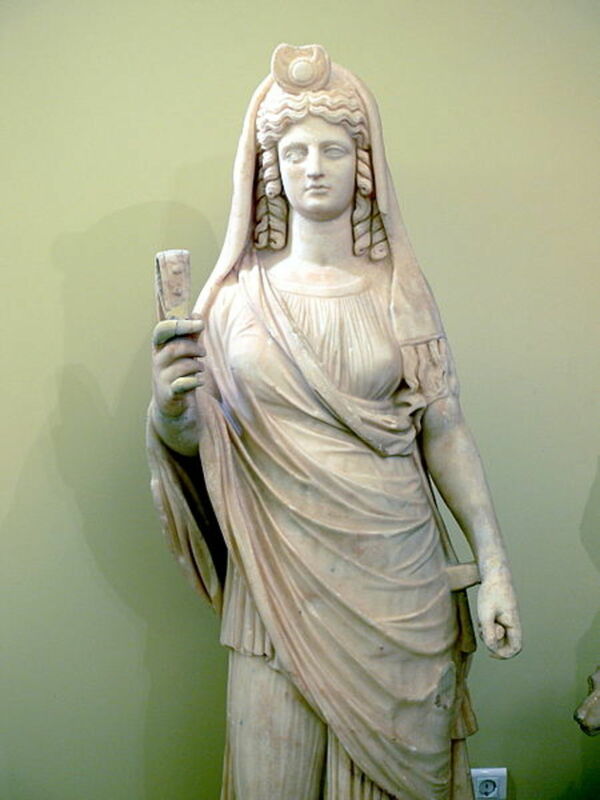 Hera was the Goddess of Marriage and Women. She wasn't a very nice Goddess. She was often portrayed as jealous and vengeful. She was majestic and solemn. She looked down on all the other Gods and Goddesses, and she was said to dislike the Humans that worshipped her too. It was said that she had a Chariot that was pulled by Peacocks and the symbol that was asscociated with her was a Pomegranate that she held in her hand. 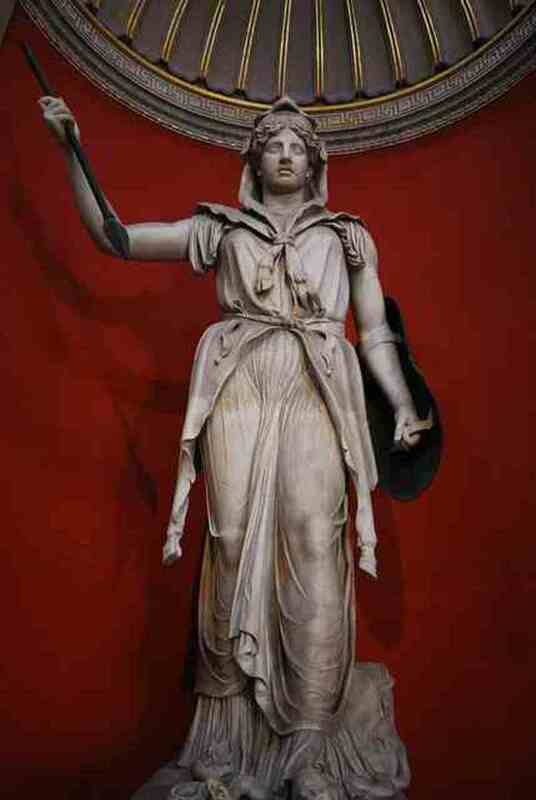 As a Roman Goddess, Juno was the protector and councelor of the State of Rome. In this personality she is portrayed as warlike, as you can see from her clothes. Here, she is daughter of Saturn and Wife of Jupiter. She was protector of Roman Women and was also known as the Patron Goddess of Rome. Juno was very similar to Hera, but there were subtle differences. Juno was usually shown wearing a cloak made from goatskin. Take a trip back in time to visit Queen Elizabeth the First. The discoveries that we take for granted, and Strange Facts about the Monarch. Then test your brain power with our fabulous quiz! Everything you need to know on one page! Her Majesty the Queen celebrates Her Diamond Jubilee this year. Here is a look at a typical day in the life of Queen Elizabeth II and Her plans for the Royal Jubilee. I definitely voted up,Nell. COO! A knowledgeable and enjoyable hub! I am always fascinated with mythology and enjoyed reading Greek/Roman mythology. I still have these mythology books with me. After reading this engaging hub, it's like revisiting one of the world's most glorious mythologies! Well-done! In a close reading, even in Hinduism there are gods similar to the Greek gods or Roman gods, for that matter. I enjoyed reading this fascinating article. Great hub! I know Greco-Roman mythology well, but, sometimes, I do have trouble remembering which Roman gods are Greek gods, since we grow up with the Roman names (the planets and stars) before the Greek ones. thank for this fun hub! This is great Nell, so well laid out and the table was awesome. Have you considered making this into an e-book for kids. I think it would work really well. Hi Dabble, thanks so much, I will get on it now! lol! thanks! i love mythology, may it be roman or greek. every story, every tale, i find it very interesting to read. Very nicely written and easy to understand for kids and beginners. There's Hera and Juno again! :) I'm a Hera fan...got to admit it. Hi, Nell - my kids loved the old Greek and Roman myths. There are so many kids picture books available with these great stories. Introducing kids to the old tales gives them a great classical background. Like ancient super heroes! This is certainly a crash course in classical mythology. I'm wondering why we ended up with the Roman versions for the names of planets rather than the Greek? Maybe because Rome came later. Voting this Up and Interesting. Hi alan, lol! thanks for reading, I do like my Greek myths! I will probably do another one soon, but I am working on something totally different at the moment, I wanted to add this one to my Elizabeth the first for kids, so maybe I will keep it in the line, thanks! Hi Nell. From high school, I still remember the Procrustean bed. It's the perfect metaphor for bureaucracy. Voted up and interesting. Hi suzette, thanks so much, It sat in my hub list for a while, I just didn't know what to do with it! lol! so I finished it off and I am glad you like it, thanks! Hello Nell. That Hera was tasty (to judge by the picture here)! I'd have liked to have been a Greek god with her around! Some say the Etruscans migrated from Greece around the Adriatic coast to reach Rome. Early Roman architectural skills were fairly much like their Greek counterpart. It only was later that the Romans learnt to develop the arch that they became famous for and everyone on the mainland copied in early Christian days. Nice piece of research ('Ye Gods & Big Fish' of the classical world). Any chance of seeing this added to? Outstanding reference! I always get confused, but now I can quickly get my facts straight. Thank you! I have always been a fan of Greek mythology. I grew up reading the Bullfinch compilation because it was in my dad's library and had such cool illustrations. I also like your suggestions here. How fitting you should present this Hub just in time for the London Olympics! Have fun. Nell, this is a fantastic hub! You have done a great job and I love your writing style. Kids would love this and I would use this in the classroom in a nano second. It is interesting, engaging, and short and to the point - the chart is great. You've done it again - another great piece of writing from Nell! Thanks tammy, I love the Greek myths but not the Romans, I think its something to do with the fact that they invaded us for 600 hundred years! my great great was a servant of the Romans! lol! Fabulous idea! I wish internet and this hub existed when I was in school. I always mixed up the Greek and Romans. Such a helpful hub! You've done a great job here Nell. Adults as well as children should find this hub fascinating. Your picture of Hera makes her look like a right "cougar". That's probably a pretty accurate portrayal, mind you. Hi tills, Aw thanks so much! I really appreciate it, I just write about what catches my eye, could be anything next time, fishing maybe? lol! Hi Glimmer, I hope she likes it, and thanks! Hi Jewels glad you liked it, and thanks! I have never been disappointed with any of your hubs, you are always so good and educational! Love the chart with the names. I can never remember who is who. I'll have to show this to my daughter. Thanks. Very interesting information, Nell. I love the table, too. It makes it very easy to compare the Greek and Roman gods. gosh Nell. My kid absolutely loved it. He learnt about Greek gods in his third grade and was totally amused. Great hub Nell. I'm a fan of Zeus and love mythology. Like the way you've set this out. 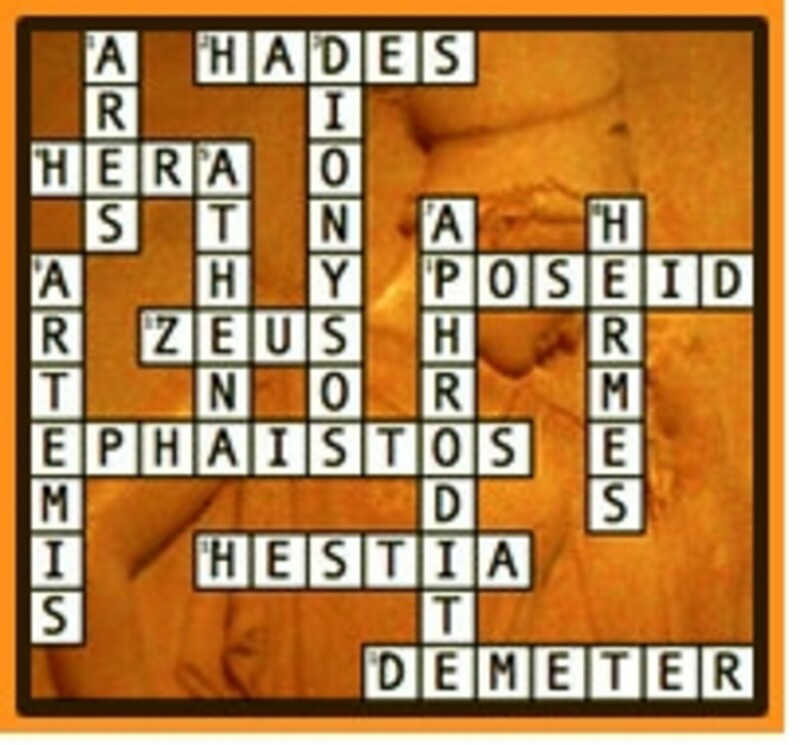 Very cool hub I love Greek mythology in books, articles, movies or wherever else I can find it. You did an awesome job with this I really enjoyed the read. Voted up, awesome and interesting. This was so entertaining, informative and great photos. I kept thinking of the song, Atlantis, by Donavan. Really useful Nell. I love the stories and the table. Its all done succintly and well illustrated too- voted up of course. I enjoy reading Greek mythology and my hubs on etymology 'every word has a story' tell a lot of the stories from Greek and Latin that helped make many English words.